Dan and I will be the first to tell you that our marriage is far from perfect. This year especially has been incredibly difficult for us. When we were dating and engaged, everything came easy for us, but it’s not like that today. And that’s okay. We’re working on it. Every day. 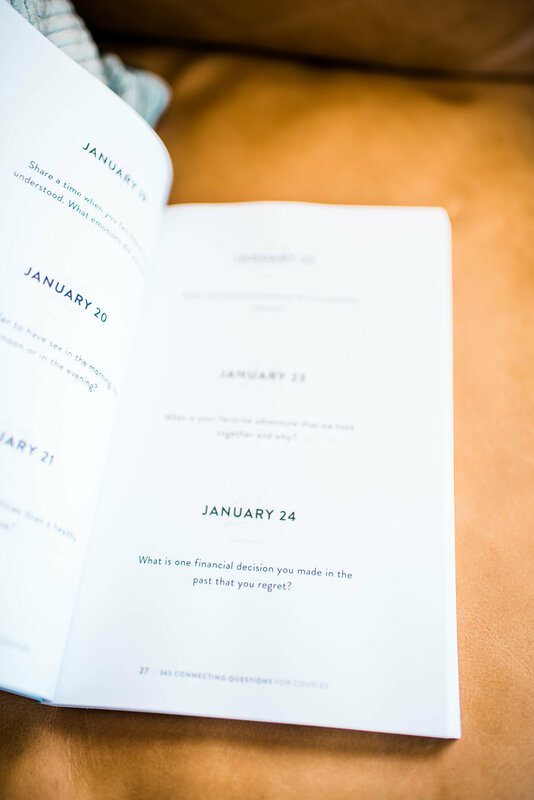 We’ve chosen to read through Marriage365 Connecting Questions for Couples every day to help us reconnect in our marriage by working through some tough, some thought-provoking, some easy, and some fun questions for one another. Every night before we head to bed, Dan and I will switch off asking one question per night—and we’ve committed to being honest & open with our answers. And I have to say, it’s been pretty great so far! I think the questions have delivered good content, and it has allowed us to set aside time for just us each night—and we’re excited to continue with it. 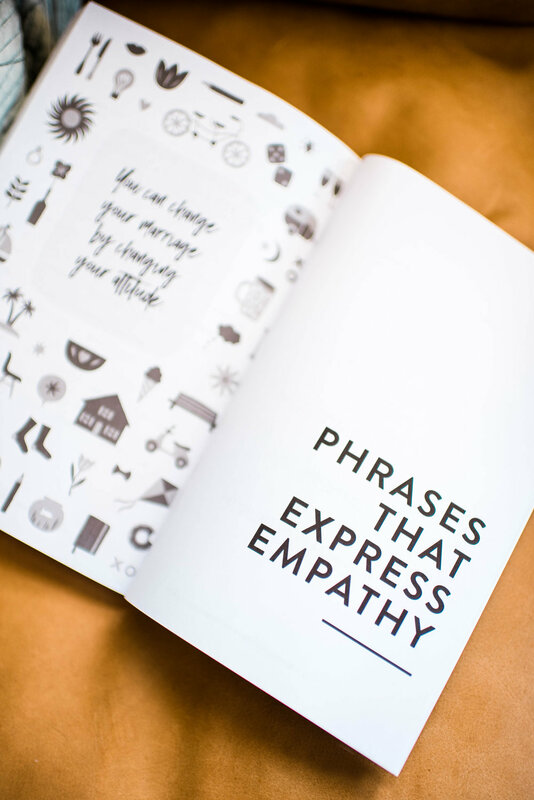 Some other things I really like about this book is that you can choose to go through it by date or by topic, and that there is a section in the back of the book full of phrases that help you respond better to what you spouse is saying, as well as words to help describe how you’re feeling. We received our book a little over a week and a half ago, but this week I was mailed a second copy of the book! I was certain I had only ordered one, so I reached out to Marriage365 to let them know I believed a mistake had been made. They confirmed that their printer this past week printed off and shipped out an extra copy for myself and one other customer, and they told me I should simply give it away to someone! 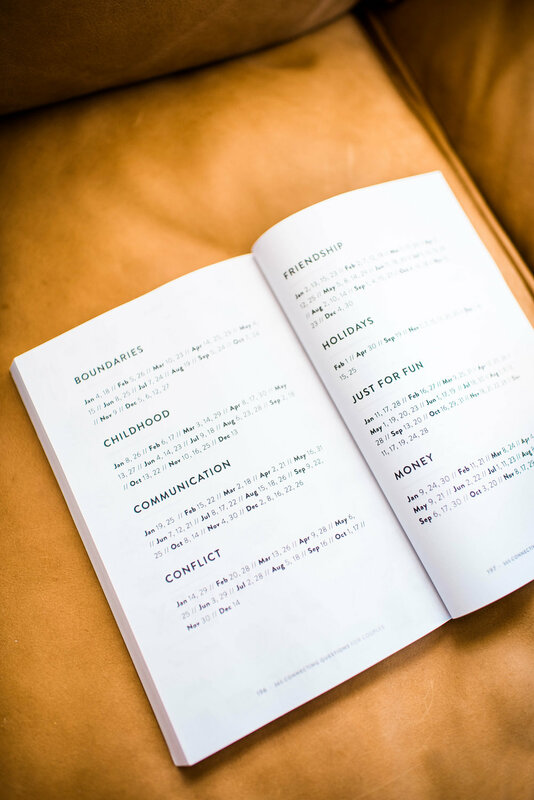 Thus, you now have a chance to win this free book by entering my giveaway! To enter this giveaway, simply subscribe to my email newsletter! That’s it! Use the form below to do so :) The winner of this giveaway will be announced October 15th, 2018!